I've had bathrooms on my mind for a while, because I want to update my guest bathroom, without spending a lot of money. 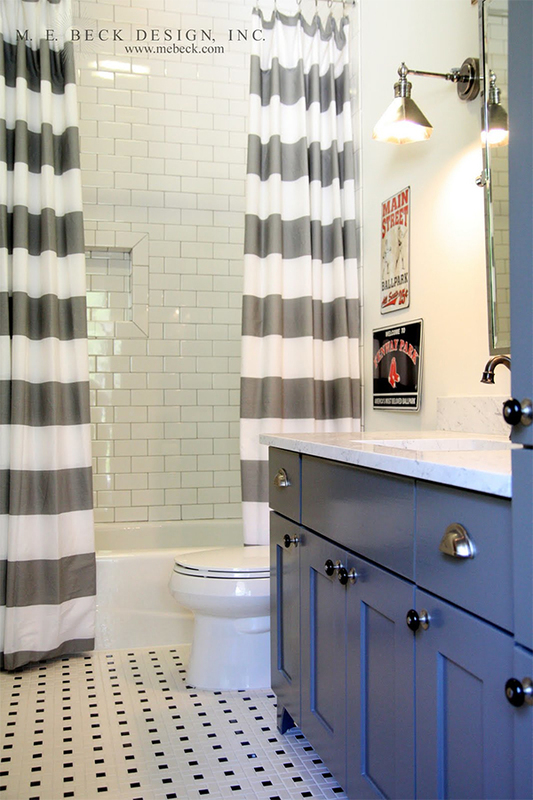 This small bathroom doesn't seem to have any very expensive finishes, but I think it looks great. 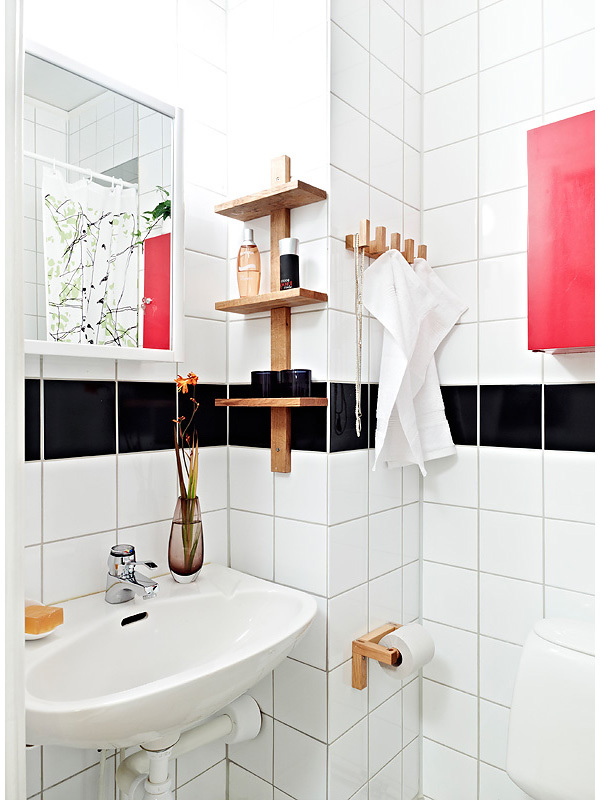 I love the unexpected wooden accents in this bathroom. With a few interesting accessories and some art on the walls, I think I can make me bathroom look a little less bland. Now here is a picture of my bathroom. Blah! We have no natural light in there so I painted the walls yellow, but that didn't achieve the sunny look I was going for. Everything just looks yellow. I'm planning on painting the walls white. This will be our third bathroom paint job, by the way. I keep hoping that changing wall color will make me like the bathroom a little more. 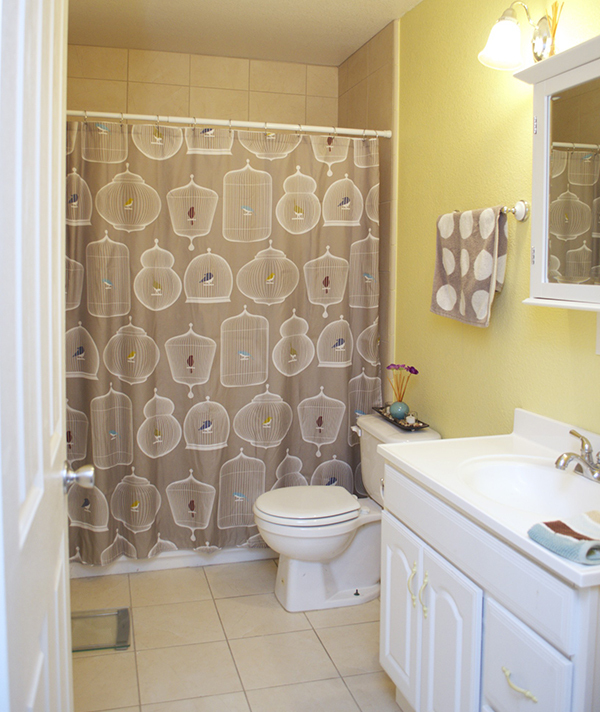 And for the sake of comparison, here is a bathroom (from Beck Design Blog) with the exact same layout as ours! The Beck Design bathroom looks SO much better!